Free download Domain Checker latest version. Domain Checker is a domain name availability-check (whois) tool. You can verify multiple domain names with one click. This version supports 79 top level domains such as COM, NET and ORG. Some of the features: 2-char, 3-char, 4-char and multi-char domain check. Domain wizard (related words). Importing text file’s words as domain names. Generating domain names by user-defined formulas. 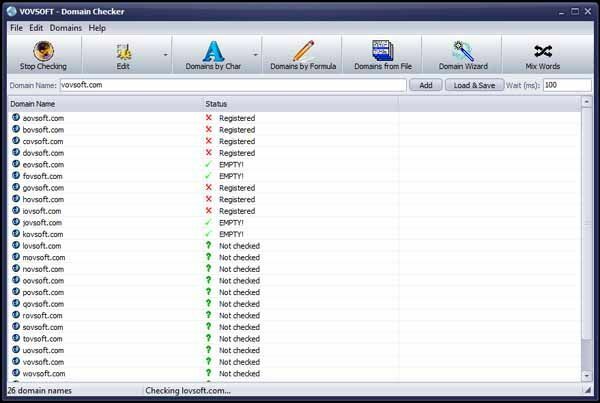 Domain checker is freeware Network & Internet tools for Windows operating system.